Reading this post in email? Click here to view the post online. 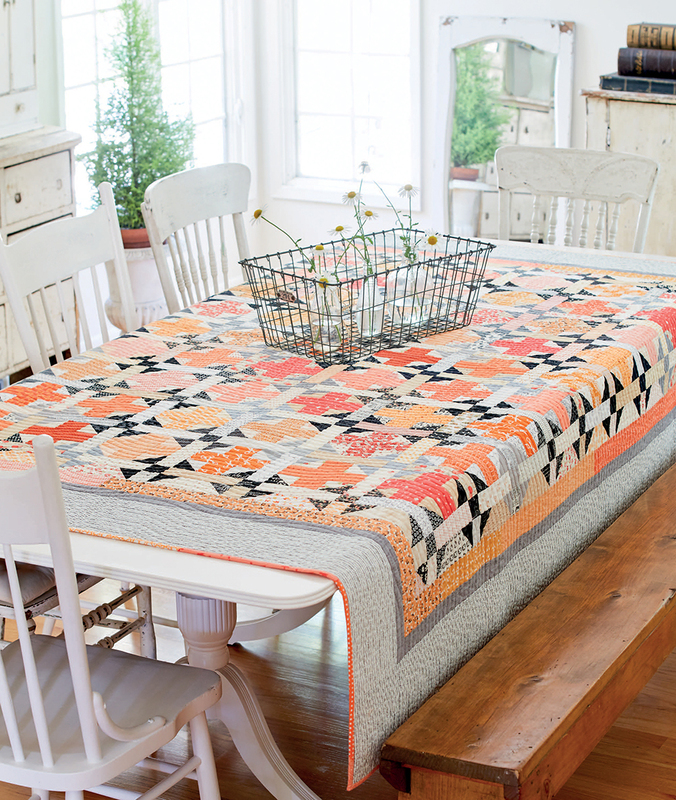 Unit by unit, block by block—Lissa’s pressing tactics make a lot of sense for creating fantastically flat quilt tops! So, how do you typically press your seams? I press to one side. I do both like Lissa! Tell us in the comments—and if you’ve tried the wool pressing mat and bar that Lissa uses in the video, let us know what you think of them too! I do both like Lisa! It depends. I usually press to one side. But, sometimes, that makes for a very thick seam, depending on the pattern I’m working with, so I’ll press the seams open. I do both like Lissa. I love the wool pressing mat! It just makes pressing so easy. I wasn’t really into getting one but I have an Online quilting friend and she just insisted I needed one! Lol we have been friends since 2006 and never met in person! I think this book looks great and it’s going on my list! I do both – usually to the dark side but open when multiple seams at one point. I do both like Alissa and I have the square mat which I love! I don’t have the bar yet but I will be adding it shortly. Thanks for sharing the video. I press just like Lissa. To the dark side and then the rows open. i love my wool mat, & will likely invest in a bar. Didn’t know about it, and glad I read this post! While I admire the flatness of seams pressed open, I rarely do it, except for wall hangings which I don’t make very often, but which have less day-to-gpday handling. All that is “old-school” is not necessarily bad, and often have a reason behind them that is lost to the mists of time. I AM an old-time quilter, and the reasons for pressing to the sides are: (a) over time, individual fibres from the batt work up between seam stitches, creating an unsightly hairy look; despite today’s much improved manufacturing methods, batts do not stay as pristine & flat as when you’re quilting with them, (b) in a quilt, unless it is extremely heavily quilted, there is the stress of pressure against the seams as the quilt is used, folded, etc. and when a seam is pressed open it is weaker – there is only thread resisting that pressure, whereas when it is pressed to one side the fabric is also taking up some of the strain. I like to press to one side unless the pattern tells me to do something else! Always follow the pattern’s pressing directions as they are there for a reason but sometimes the reason isn’t understood immediately. I generally press to the side, but I press open to reduce bulk and when working with very small units. The wool pressing bar looks like a great tool, but I have not tried it. I have used my friend’s wool mat, but hers seemed to collect thread strings. I press seams open when they are bulky, like in a string quilt,and to one side then not. I have not used either of the pressing tool. I do both. Mostly to dark side. I do press like Lissa. Thanks for the video – I enjoyed watching the use of the wool pressing bar. Pressing on my wool mats amazed me on the sharpness of the seams. I do use both methods and need the wool bar now. I tend to oress to the dark side, and i love my 13 inch wool pressing matt. I have not seen the bar before but will be looking for it for future purchase. 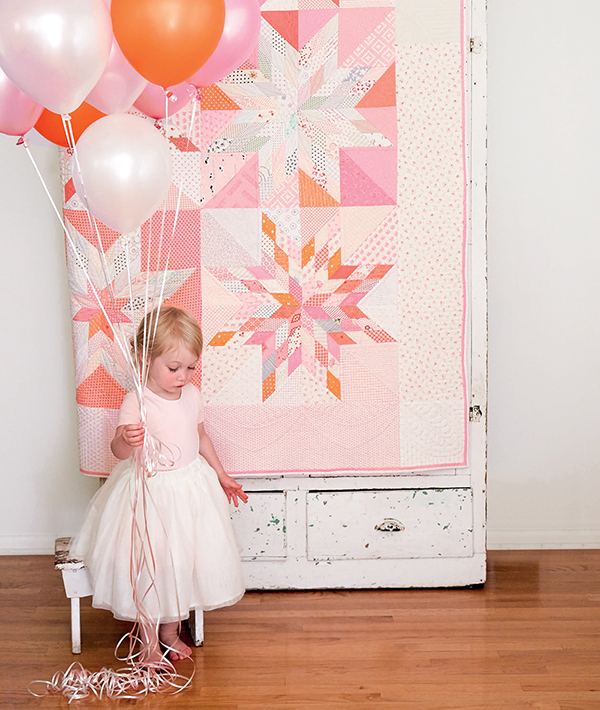 the article and video makes me want to get in my sewing space and get yo piecing. Thanks! I press quilting seams to one side most of the time. There are times when due to lots of seams in a small area that I will press open the seam. I usually press my seams to one side. I do both like Lisa. I have never used a wool pressing mat or raised bar. They look interesting though. I do both. I prefer to press to the side. It helps nestle the seams to match points, and it makes the stitching more secure, especially after the top is quilted. However, there are times when the only way to reduce bulk is to press open. I don’t worry about it much with wall quilts, but quilts that will be used hard are likely to do better with pressing to the side. Great topic! Mostly I press to one side but have also been known to press seamsopen on occasion! I do both. I quilt on my domestic machine & often piece both the top & back. When all the seams on both sides are doubled it’s harder to quilt & can result in lumpy areas. 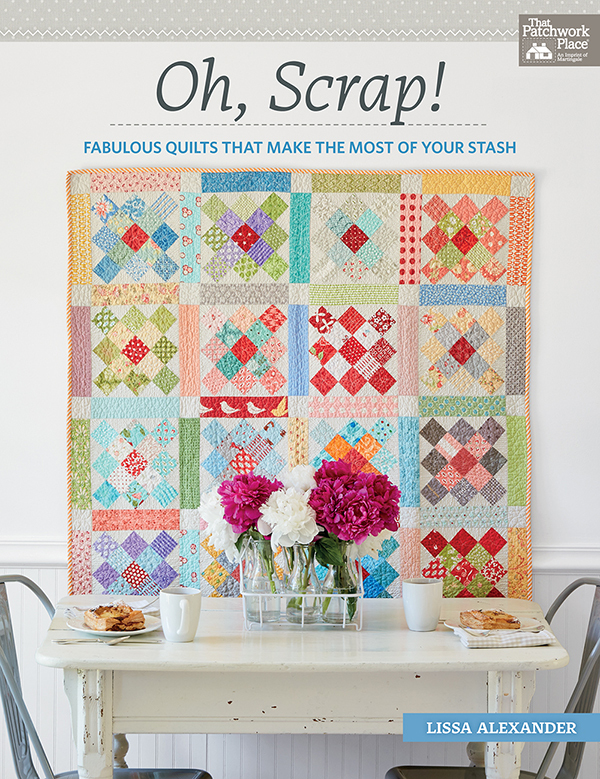 As an avid scrap quilter, and a lover of small quilts, I have learned the same approach that Lissa shows us here: press individual blocks to one side, then press open. But I sometimes press all my seams open, if the quilt has a lot of tiny blocks, and I plan to throw them up on the design wall and move them around to find the right placement. This way I dont have to repress seams before stitching them together. I love my wool cutting mat! And I have a wool seam roll from my dressmaking days that still works well after nearly 50 years! I press both ways. Usually I press to the dark but sometimes I press open if it’s going to be lumpy when pressed to one side. I do both depending on bulk. I press seams to one side. Makes hand quilting easier and pressing the seam to the darker side hides it better. I do both open and to one side. I also use a wool mat. But I have never used or seen the wool bar. I am going to get one, as soon as I find out where to buy one. It depends on the size of the squares, but I mostly press to one side. I mostly press to the dark side, but like Lissa, press open the joining seam. It really does help the blocks lay flat. I have not used a wool mat but think I need one. I have been pressing like Lissa does. Seams are not as bulky. I use a wool mat when I press too. I do both and press open when needed. It depends upon number of seams coming together and what will be attached. I press my seams open, it’s a throwback to when I made clothes. The lady that does my quilting loves it. She tells me it makes it easier to quilt. I love the wool mat for wool applique. I mostly press to the side but have on rare times pressed open. I have a large wool mat and I love it. Did notknow about the bar but will be checking into it. Thanks for the demo. I mostly press to the side but have on rare times pressed open. I have a large wool mat and I love it. Did not know about the bar but will be checking into it. Thanks for the demo. I do both like Lisaa! I agree that when there is a chance for some bulk in the seams that pressing open is a great way to insure that they lay flat. I have not tried the wool mats yet. It’s on a bucket list of new notions to purchase. I always try to press to the dark. A seam pressed to one side will be stronger than a seam pressed open. I press both ways. It depends on the construction of the block. I will press the seam so that it makes the block go together the best possible way. I usually press to the side, but where that would create a lot of bulk, I press the seam open. I have a larger wool mat that I love. I don’t have the bar, but it looks very useful. I press to one side but, after watching her video, I am definitely going to do both. In fact, I just finished a quilt where I should have used her technique!! I do both – wool mats are fabulous. I do both! I have not used a wool mat. I do both. Press to the dark side and usually open on the seams. I usually press to one side but I also press open when it is needed. I do both like Lissa. I love these new wool pads. And now I’m going to have to get the wool bar. Perfect for these types of seams! I do both. Depends on the pattern. I press to the dark side but where there is going to be bulk I press the seam open. I do both. It depends. I press to one side most of the time. Occasionally, pressing open works best. I like how flat I can get it when I press bulky seams open. I do both, like Lissa. I most often press to the dark side, but never hesitate to press open as needed. I have had my wool pressing mat about a year and LOVE it! I press open and to the side….whichever way eorks best for join the blocks. I’ve recently been using Jo Morton’s trick for eliminating seam bulk. We’ll see how that works out. I press most seams to the dark side but on long seams that cross many others I do press open. I love the woolly pad and bar!! 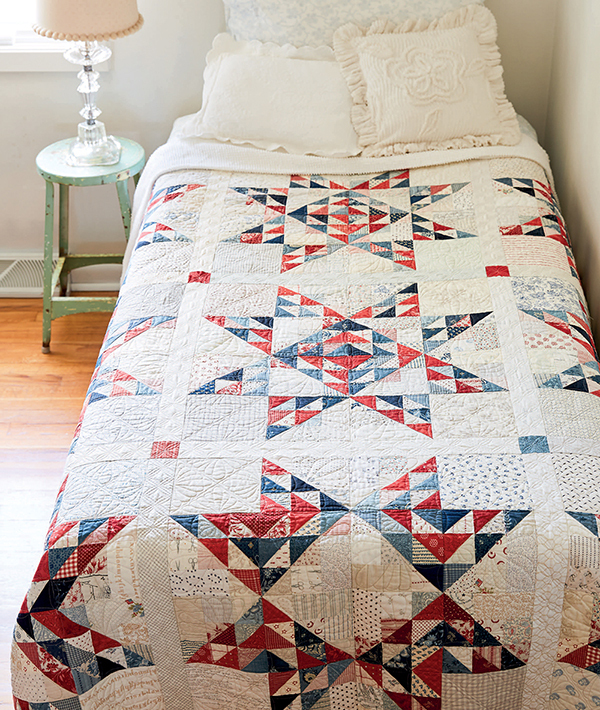 !and the quilt of course!. I press to the dark side for most of my projects, and press open when I am trying to avoid bulk. I am planning to knit a mat and felt it down to size to use for pressing! I have a lot of leftover wool so it will be very colorful. I will press to the dark when there are no directions or indications to do otherwise. Sometimes to have seams nest I may need to press one row (l) and next (r). If I have an area where many points come in, I may press open to decrease bulk. I do press to the dark side but will press the seam open when it is necessary such as in small piecing or when to many seams come together at one spot. I will need to look for the wool pressing bar as it looks like it would be most helpful in pressing those seams open. Thanks Lissa for that wonderful lesson! Just ordered a mat, and can hardly wait to try it out. Usually I press to the dark, but when it gets bulky I do whatever works the best. I do both like Lissa. That pressing bar looks like a great help! I’m old school, too; I press to one side. Haven’t made a quilt where there is too much bulk in the seams for this to be a problem. I don’t have a wool pressing mat nor do I know anyone who has purchased it. Saying that surprises me because some of my quilting buddies are gadget prone and early adopters of all new quilting tools. I press both ways depending on the pattern and I love the wool pressing mat. I’ve been quilting for over forty years, and I almost always press seams open. 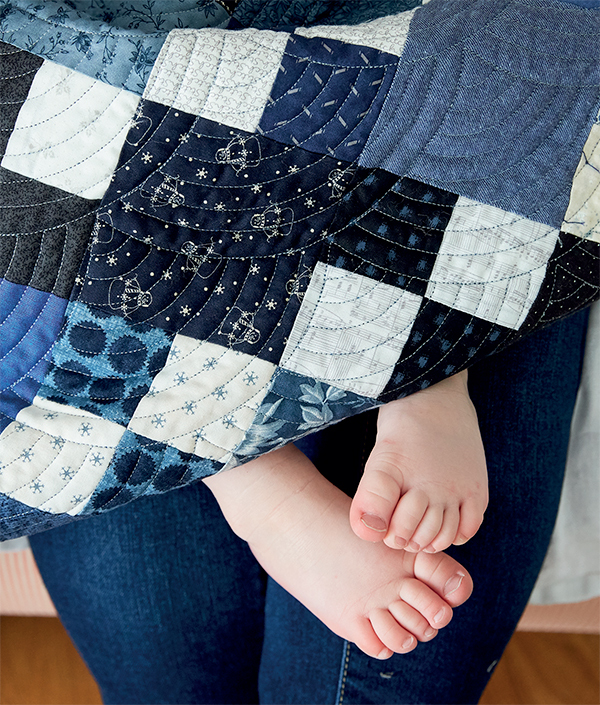 It’s much easier to match intersections, and the blocks and quilts are much flatter and easier to quilt. I usually press to one side but have pressed open if there is too much bulk. I use a wool pressing mat I made from a thick wool blanket I found at an estate sale. 3 layers thick! 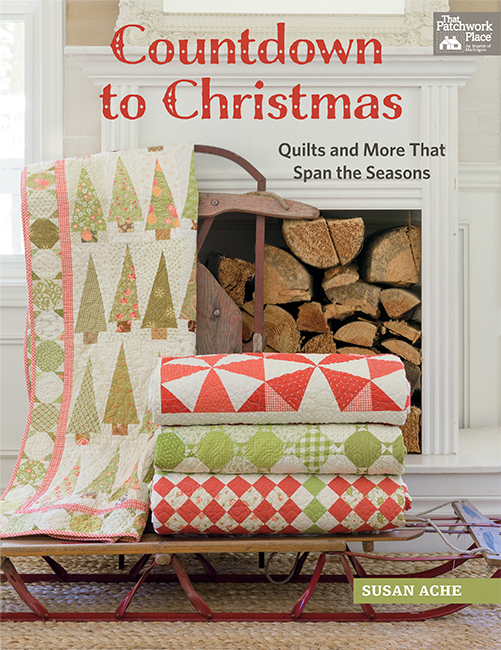 I usually press to one side, but after seeing Lissa’s video, I may start trying to use both methods in a quilt! Thanks for the helpful video! I started as a sewer, not a quilter, so prefer to press seams open. But, I do press to one side when it works better. I often stitch in the ditch so prefer pressing open when that’s the plan. So, in some ways, I guess I am like Lussa. Haven’t yet invested in a wool mat, vut may do it, after seeing this video. I press to the dark side. Occasionally I will press open when there is too much bulk. I have the wool mat and love it. Easy to transport to class and really presses blocks nicely. I press to the dark, also press open some seams to avoid bulk. Use a wool pressing mat, but I have never seen a wool pressing bar. I press to the side, way I was taught! Looking forward to your video! I was taught to press to one side. But sometimes I think the seams should be pressed open to lessen the bulk. I press to one side, but I am willing to try pressing the seams open to reduce bulk. I love using my wool pressing mat. I press to the dark side unless the directions tell me to do something different. I have not used the wool mats, but they look great. I press to the dark, but open when joining rows. Sometimes I’ll even use Jo Morton’s clip trick – depends on the bulk. I have never used wool to press but hear that it works well. I mainly press toward the dark, have sometimes pressed seams open. But I’m not as intentional about it as Lissa; it would be a good habit for me to develop. I’ve never seen the wool pressing bar, but it looks like a good tool to have. If by machine, it depends on the project – curves usually get pressed to one side; straight lines often get pressed open. I have a wool pressing mat and LOVE it. I press to the dark side. I usually press to one side. I primarily press to the dark side but at times it is necessary to press them open. I do both. Some quilt blocks require a seam or two pressed open to distribute bulk in the seam allowance. 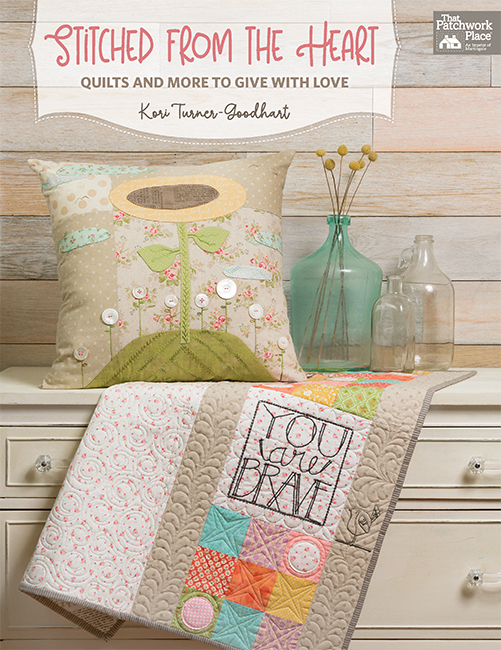 I press both ways – depending upon the quilting I will do. If it is a custom design – I NEED to be able to SID. If it is an all over or E2E design – then pressing open would be okay 😀 Since becoming a ‘quilter’ I am always thinking about the quilting at the beginning of any project. Hope this helps and makes sense. Sometimes you have to press those seams open but usually I press to the side. Wool mats are great. I mostly press to the dark. I press seams both ways depending on the project. I also LOVE my wool pressing mat as it works great with a dry iron! A little Best Press on the right side once my seams are nice & flat. I usually press to one side, but some things need to be pressed open – like one block wonders. I press both ways, depending on the project. I have a wool mat and just now trying it out. Don’t have an opinion one way another yet. Wool bar looks interesting., we’ll see how I like the wool mat. I usually press seams to one side, but am thinking that I should try open now and then. I do love my wool pressing mat. Normally I press to the dark side, but to get a more over-all flat quilt top, I do press some seams open. I have had long-arm ladies tell me when they hit some of those super thick seams, they can actually break a needle. I have a different pressing board that I love. After pressing a seam, I use a tailor’s clapper and press down on the seam for a few seconds. It is absolutely amazing how flat even bulky seams become. 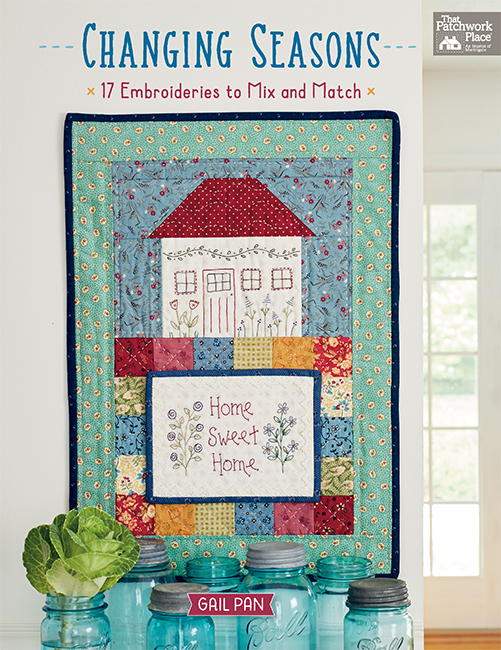 Decades ago I took my first quilting class; we hand pieced, hand quilted and pressed all our seams open. Wasn’t till years later that I heard those infamous words… "press to the dark-side". I’ve not used a wool mat or seam board… I’ve been temped to buy the mat… but I wonder — does all the steam go through the mat and if so what damage is done to the surface beneath it? I press to one side. Don’t want to have the batting coming through the seams. I have recently converted my pressing to open seams. I have found that my intersections match so much better when the seams have been pressed open. I usually press to one side,however in some circumstances I press the seams open. I do both, depending on the situation and how I need the fabric to lay. I usually press to the dark side but sometimes need to press the seams open. I love my wool mat, but I hadn’t heard of the pressing bar before. I press my seams like Lisa, depending upon the block and the project. Most seams are pressed to one side, then the joined seams may be pressed open to reduce the bulk in the seam. I press both ways also. Haven’t tried the pressing mats but am thinking about buying them. When I started quilting I pressed to the dark side. I now press both ways depending on the bulk of th seam. On quilts I hand quilt I press to the dark side because it is more secure. For the most part I press like that, but there are times when you have to press open. It is much easier to match your points if you press to one side. On garment sewing I press open because it makes your garment fit better, but for quilts, I go to one side. I generally press to the darker fabric. However, when there are lots of seams I will press seams open. I have been pressing my seams open a lot lately, but if I know I’ll be quilting in the ditch, I press to one side. I have recently purchased a wool pressing mat and love it; the seam allowances just sink right into the mat, making my blocks nice and flat. I usually press to the darker side unless directions instruct differently. Could you please tell me where I can purchase the bar and the name of it please?